Today Ravestein Container Pontoon is celebrating another milestone in the regeneration of Portsmouth Naval Base with the reopening of 14 Dock after the arrival of its brand new caisson. Captain Bill Oliphant, Captain of the Base explains here what the caisson is and what this means for the Portsmouth flotilla. 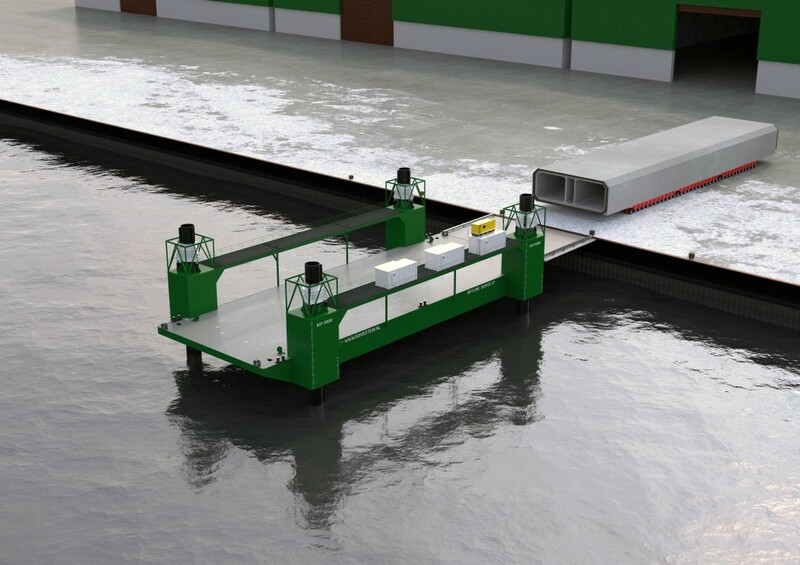 Ravestein Container Pontoon is present at the DSEI 2017 event in London, from 12-15 september 2017. The DSEI Strategic Conferences take place on 11 September (Day Zero) with the main exhibition and free seminar programme running for four days from 12-15 September 2017, ExCeL, London. More info on the official website DSEI2017. Watch how the Ravestein Skylift 3000 dominated the Southampton skyline at Seawork 2017. Ravestein’s Skylift 3000: salvage of a submarine. Launching Hunt Class with Skylift 3000. Ravestein’s Skylift 3000 moves 3 Huntclass Destroyer in 1 week for the at MoD Naval Base Portsmouth, UK. Our SkyLift is a Jackup Platform with payload of 3000T but has the special abillity to submerge. It can therefore be used as a Jackup, Ship Dock, Ship Launch or launching tool for large steel and / or concrete structures. The SkyLift-16000 is designed for bringing heavy structures, such as concrete tunnels, windmill foundation ships, etc., from quay into the water and vice versa. 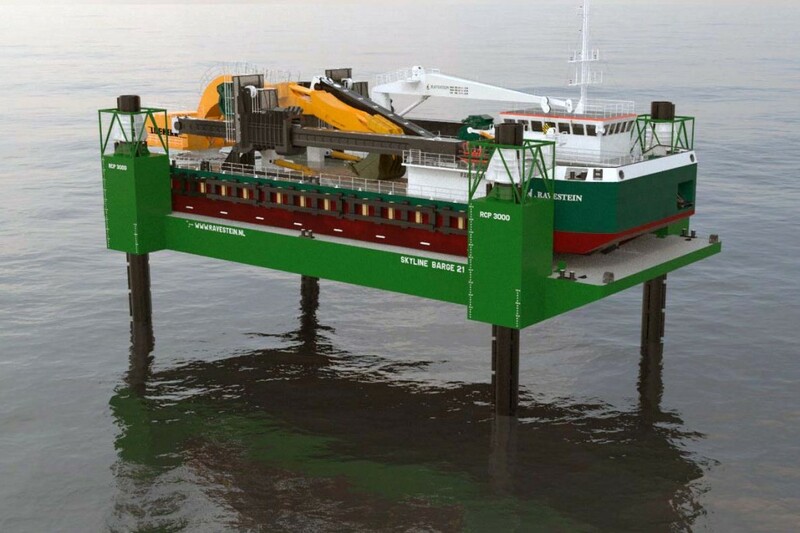 2 SkyLifts can be used for the removal of Oil Rigs. 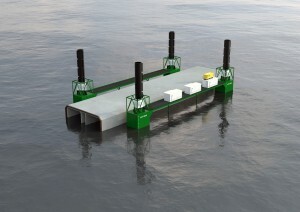 The platform is built out of a mono hull pontoon, 4 Jacking Systems and 4 Spudlegs. The 4 jacking systems are manufactured with a heavy duty pinning system. 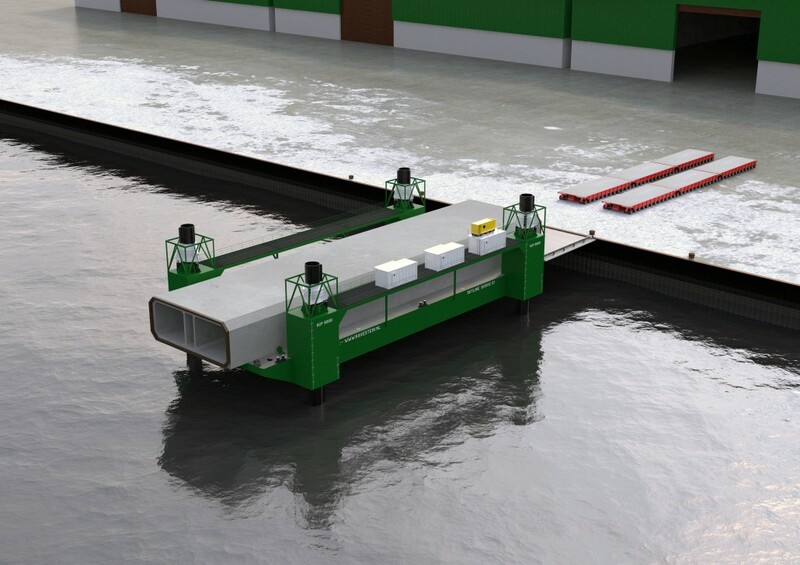 Operation of this fast and heavy duty system, lifting and lowering / locking and un-locking, is done completely hydraulically from a control panel located in the control cabin.